Before you start shopping for a new mattress in Greensboro, NC, you should probably know how to find the right softness for you. Most people who complain about not getting enough sleep or waking up stiff and sore in the morning have no idea that much of this can be the result of sleeping on a mattress that is not firm enough or is too firm. Buying the right mattress starts with knowing how you sleep. People who tend to sleep on their backs may need more support to help keep their lower back in proper alignment. A mattress labeled as having a medium comfort level will conform to your spine, relaxing your back muscles and letting you get a good night’s sleep. One that is too firm will not conform, while one that is too soft will not give you enough support. For those of you who primarily sleep on your side, a medium to soft mattress may be your best bet. These mattresses relieve most of the strain on your hips and shoulders. At the same time, they will provide you with plenty of support to keep your spine aligned, ensuring you have a comfortable night’s sleep. A mattress that is too hard or soft will not conform to your body and will certainly not let you get a good night’s sleep. In general, those who sleep on their stomachs tend to need a much firmer mattress to sleep on. A good, solid, firm mattress will keep your hips and back properly aligned. If you buy a mattress that is too soft, it will cause your back to arch. This will create excess strain on your back, leading to painful mornings. Before you start seeking a mattress for sale in Greensboro, NC, be sure you know what size mattress you need. 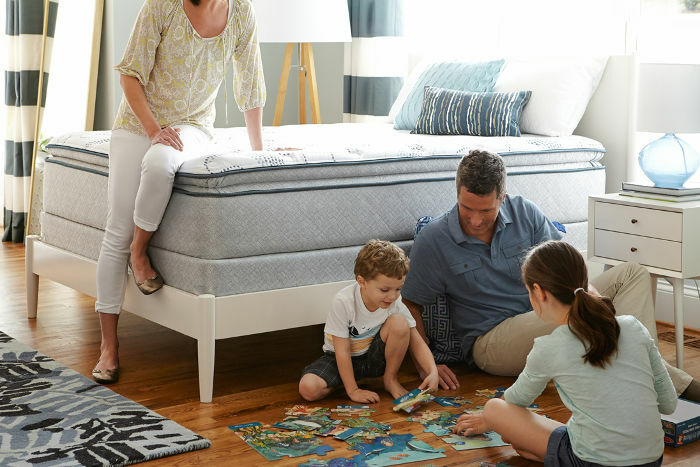 Start by measuring the length, width and height of your current mattress. Then measure the dimensions of the space you plan to put your new mattress in. This way, if you decide to upgrade to one that is larger than your current mattress, you are sure you have enough room for it. A new mattress is a very personal thing and you are going to have to live with your choice for a long time. Try laying down on any mattress you are considering. Does it conform to your body comfortably? Do you want a tight top or a pillow top? Only after you have answered all of these questions are you truly ready to go shopping for the best possible mattress in Greensboro, NC.